How can you make dreams come true? Or transform a fantasy into a colorful, exciting world that visitors can move through, touch, and enjoy? Such fabulous work is the daily business of Walt Disney's Imagineers, a core group of creative and highly skilled professional wizards who combine imagination with engineering to create the reality of behind the dreams that comprise the Disney theme parks. 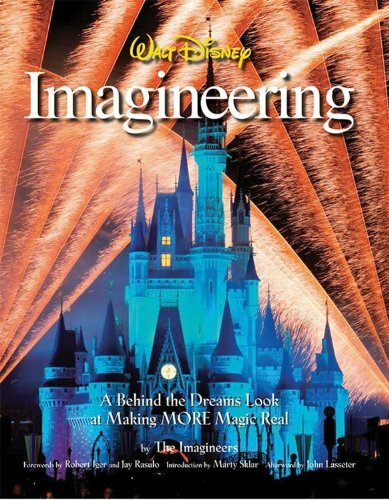 In this sequel to the best-selling "Walt Disney Imagineering: A Behind-the-Dreams Look at Making the Magic Real," the Imagineers serve up another dose of magic with an even closer look at who they are, what they do, and how they do it, illuminating their theories and explaining the tools they use, and where and how they use them. Contained within this deluxe tome are rough drawings, conceptual models, and behind-the-scenes stories showcasing Disney's newest attractions and innovations from the inside out. There's also an exclusive peek inside the Research and Development Lab to see what new magic will soon be appearing. The Imagineers tell their own stories, as well as how they got there, what they do on a daily basis, what they show their friends in the parks, and how you can learn what it takes to become an Imagineer. Presented in a large, lavish format, this book is sure to be a must-have for every Disney collector.